Instagram has grown immensely popular during the past few years. In fact, the social media network has managed to compete against Twitter and Facebook. As a business owner or website admin, you should already see that Instagram can provide you with a great opportunity. If you’re able to boost your follower count, there is a good chance that you can use Instagram to your advantage. Just remember that getting more followers can be a little more difficult than you might believe. Below, you’re going to discover 10 great ways to increase your followers. There is a pretty good chance that you already have a website and blog. If this is the case, you’ll want to put them to use for you. All you have to do is place a link from your website to your Instagram account. That will increase the number of people traveling to your site to your Instagram and hitting the follow button. This is one of the most trusted ways to get more people to follow your Instagram account. As a business owner, it is wise to use multiple social networks. You might have a Twitter account with thousands of followers. You can use that to your advantage. All you have to do is tell your Twitter followers about your new Instagram account. Do that and some of your Twitter followers will quickly become your followers on Instagram too. You need to be consistent when posting on Instagram. Your followers want to know what you’re doing. Being consistent is a good way to get your followers familiar with your patterns. For instance, you can post once at 2 PM and once at 5 PM each day. Scheduling your social media posts is recommended. Beside this, you should also consider using services such as LikeSocial.co to get a jump on the competition. Posting captivating pictures is one thing. However, you also need to make sure that you’re taking advantage of captions. In fact, captions are just as important as the pictures themselves. When posting a picture to Instagram, you should put in a significant amount of effort to ensure that your captions are clever. Do that and you’ll get laughs and followers? Some people require a lot of incentives to become a follower. They want a reward for their efforts. With that being said, you should give them that reward. It doesn’t have to be something huge. You can give them a free e-book or something similar. When they follow your account, you should give them something free. Do that and your follower count will soar higher and higher very quickly? You already know what hashtags are all about. 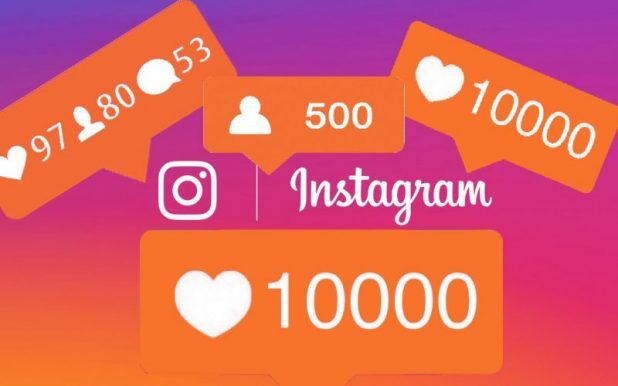 They can be very beneficial for those attempting to get more Instagram followers. When you see a trending hashtag, you should post your pictures to it. That will get your pictures much more attention and it’ll increase the likelihood that you get more followers too. You also need to make sure that you’re interacting with the Instagram community. Making yourself a member of the community is one of the best ways to gain attention and get more followers. With that being said, you should not hesitate to comment on the pictures posted by other users. Posting on very popular pictures is a must. That will get you even more attention. It is pertinent to make sure that you’re thinking outside of the box. If you’re posting unoriginal pictures, you’re not going to get anywhere. You need to make your Instagram account stand out from the masses. One of the best ways to do that is by thinking outside of the box and posting totally unique pictures. If your pictures are unique, you can pretty much guarantee that they’re going to get far more attention. When you get the opportunity to create a bio, you should do so. The biography section can be immensely beneficial. It gives you the opportunity to tell others about you and your business. When someone reads your bio, they should know what to expect. They should know what they’re going to see if they follow your account. Crafting an interesting biography for your account will make a big difference in the long run. Finally, you need to understand that Instagram can be a tough platform to master. You are not going to get thousands of followers overnight. With this in mind, you should dedicate yourself to it for the long haul. Remember to remain patient and loyal to the project. Getting a follower or two every day will make a difference in the long run. Never rush it and work on your Instagram account every single day. Do that and your efforts will pay off dividends in the future? Harry Stark is a professional Writer, and the Digital Marketing specialist. He is passionate about writing the news which is covered in all aspects.